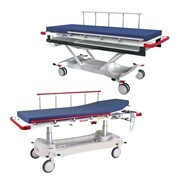 The emergency stretcher is made from the same strong nylon that we make our mechanical lifting hoist slings from. 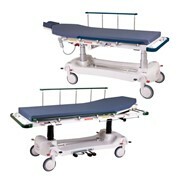 The lifting slings have been NATA (National Association of Testing Authorities Australia) weight tested to over 500 kgs. 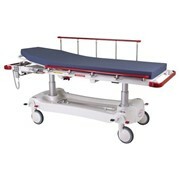 The stretcher is easy to store and take to a patient as well as being easy to lift and carry a patient. 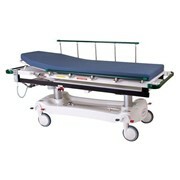 It can be left under patients during X-Rays, saving unnecessary lifting from stretcher to the X-Ray table. 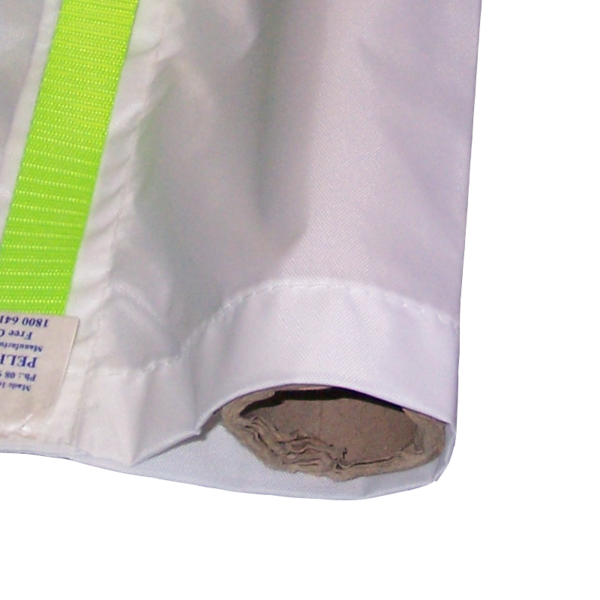 Two pockets are provided on both sides to put long poles in if necessary, though in many instances, the ease of using the webbing handles makes it very convenient for two or more Carers to carry the patient. 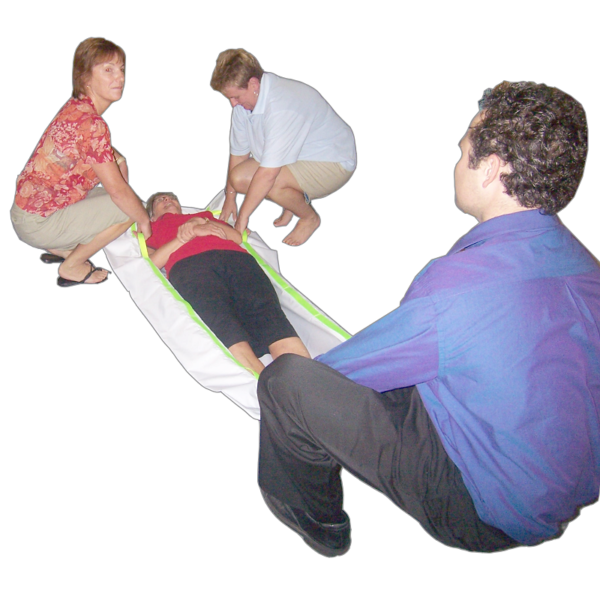 We recommend that two Carers should only lift lightweight patients, under 55kgs. 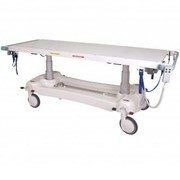 However, with more Carers holding on either side, far heavier patients can be carried. 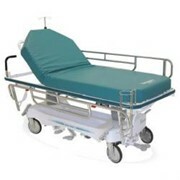 We suggest the Carers use both hands when lifting, although in some circumstances, the Carers may use only one hand if the other hand is needed to hold on to hand rails. 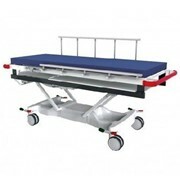 If possible, try to have Carers of the same height carrying the stretcher. 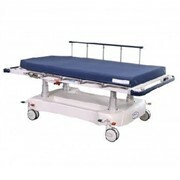 To use: Fold the Emergency Stretcher roughly into thirds length wise. 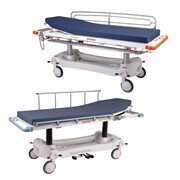 After the patient has been checked for spinal injury and been given permission to be moved, roll them to place the folded Emergency Stretcher under the patient. 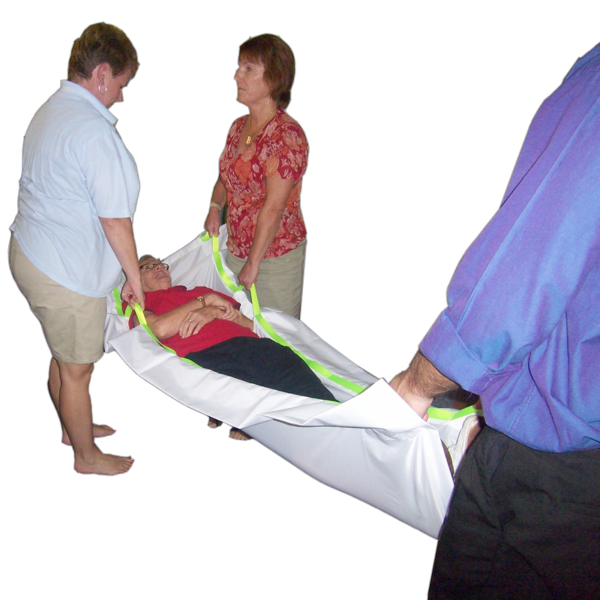 Once the stretcher is in position and unfolded with the webbing handles either side of the patient, the Carers should bend their knees and hold the webbing handles in both hands. 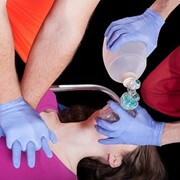 A team leader should say out loud “ready, brace, lift”. All the Carers should stand on the word “lift”, using their legs to do the lifting and keeping a straight back as they stand up.